This book from Fairwood Press contains ten stories of science fiction and fantasy, two of them never before published. Good science fiction makes you think–but all good fiction of any stripe makes you feel, and (Louise) accomplishes both goals masterfully. 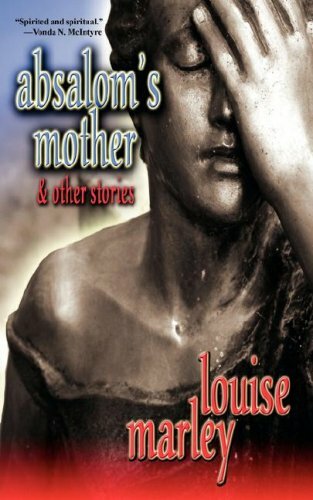 Although I've read several novels by Louise Marley and remember them fondly, I don't think I had ever consciously noted any of her short fiction, if I've read it at all prior to this book. There are ten stories here, spanning a wide variety of settings and themes. The book opens with the title story, a moody piece about the conflict between the rights of the individual and the dictates of society. The next is a lighter, and better story about the integration of female players into professional baseball. The next two are relatively minor, although I liked the western motif in one of them, sharing the author's fond recollections of the work of Zane Grey. "Jamie Says" is a thoughtful look at questions of gender that doesn't descend into pedantry and is my favorite in the collection. The balance of the book includes a light fantasy, a musical prodigy, a religious novice with an unusual affliction, and a fictional meeting between two musical legends. All of Marley's stories are centered on the characters rather than physical events, but not at the expense of storytelling. If she was more prolific at this length, she would almost certainly be numbered among the most promising short story writers working in the field. Marley's first collection covers a wide range of the fantastic with a keen eye for human character and motivation. The title story, inspired by the biblical fate of Absalom, concerns a group of women on a distant planet who sacrifice themselves to save their children from being taken away to war at younger and younger ages. "Starchild Wondersmith" gives entirely new life to the situation of the kid trying to fit in at a new school, for Starchild is a True Being; since he isn't getting the expected TB powers, he chooses transfer to a normal school and discovers hidden depths. The volume closer, "Deep River," tells of the marvelous meeting between the greatest operatic voices of the nineteenth and twentieth centuries, one of them a naturalized American originally from Germany, the other a young black woman from Harlem. Marley's narrative voice is strong, and her focus on characters and emotional depth pays off in a set of satisfying, thought-provoking stories. Marley digs into the heart of her characters, managing to create living, breathing people upon the page. This seemingly simple premise turns out be dramatic and engrossing with Marley's tight storytelling. The meaning of Johannes Brahms' "p dolce" is the center of the mystery and both characters, the handsome Kristian and the plain Frederica, are desperate to learn the secret. Frederica's months-long disappearance works in her rival's favor and gives him the chance to learn the same secret by witnessing firsthand the lives of Brahms and his paramour, Clara Schumann. But what's more important: finding and retrieving the consciousness of Frederica, whose body lay comatose in their future, or learning the secret to the grand music mystery? Good stuff.